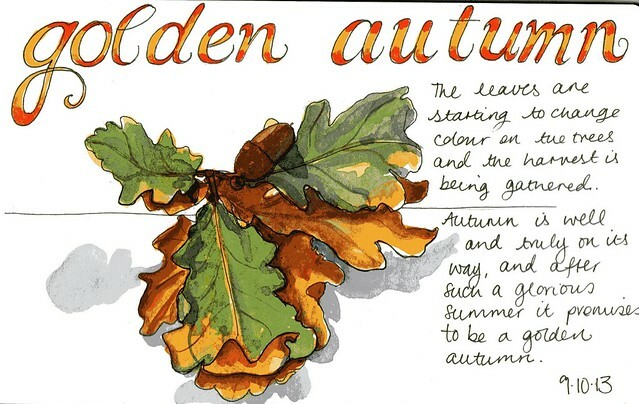 Autumn is one of my favourite words. I like all the vowels in it. It's also my favourite season, so that's worked out nicely. This acorn and oak leaves was much harder to sketch than I anticipated it would be, but it's done now. The best thing about keeping a sketchbook journal is that if I don't like a page...it doesn't matter because I can just turn to the next one.